This is the first in my series of Baseball is Awesome off-season posts. Something to read and keep you looking forward to those first days of spring when baseball season starts and anything can happen. Most of these stories will not show up on The Greatest Baseball Stories Ever Told. 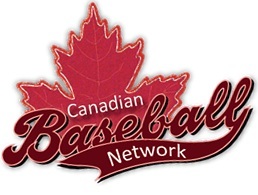 But they will be interesting to any baseball fan, and as this series focuses on Red Sox related moments with some Canadian content, I hope in particular Red Sox and/or Canadian fans enjoy them. 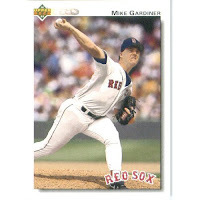 On April 1st, 1991, a friend of mine called me (if you're wondering why he didn't text or IM me, then you are WAY too young) and told me that the Red Sox had made a trade for Mike Gardiner. A very funny, and cruel, April Fool's joke I thought. My friends knew how obsessed I was about him and this was an easy trick to pull on me. I didn't believe him. I had to wait until the next afternoon when I bought the USA Today and read it in the transactions log. I couldn't believe it! The only baseball player ever from my hometown was going to play for the Red Sox. Unfortunately, he started the year in Pawtucket. On the morning of May 31st, he got called up to Boston and was going to start. I heard about it from another friend who still lived in Sarnia and heard on the local radio station. It was a Friday evening, I gave up my plans for that night to watch the game on TV. And what a game it was! Gardiner threw a perfect 1st inning, and we scored 4 runs off Baltimore before he had to take the mound again in the 2nd. He ended up pitching 7 innings, only giving up 2 runs while striking out 5 (including future Hall of Famer, Cal Ripken, looking) and left with a 7-2 lead. What a performance! I was sure I was watching a future star. I started thinking that if he had been in our rotation from the start of the season, we could have built up a bigger lead on our division rivals, and he might be giving Roger Clemens some good competition in the Cy Young race and could have pitched in the all-star game. Alas, it was not meant to be. After a couple of sub .500 seasons, he was traded to the Expos who later released him and then he pitched a bit for the Tigers before being released as well in an inglorious end to a short career. But this is one of the reasons baseball is awesome. You can spend a Friday evening watching a player dominate the opposition in his first career meaningful game and at that point his potential is limitless. For a brief moment in time, you can imagine you are watching a future Hall of Famer - and until cruel reality sets in, nobody can tell you that you are not!